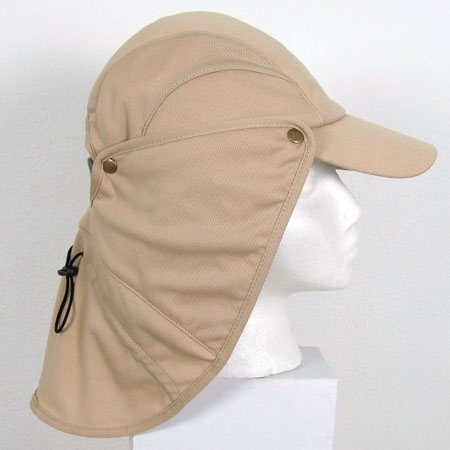 Cooling hat with neck shade uses evaporative cooling to keep you cool. 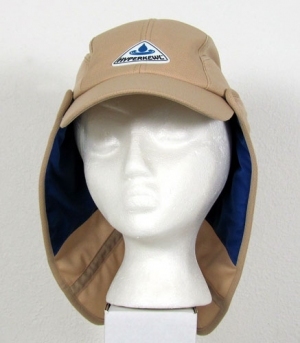 Keeps the sun off you and cools you down. 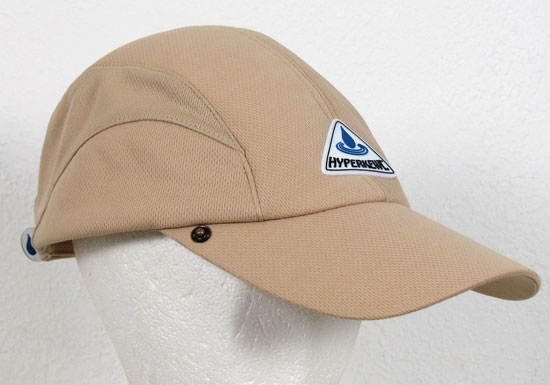 Cooling hat is made of 100% cotton outer with polymer embedded fabric inner and water repellent nylon liner and tie. * Recharges in a flash! * Comfortable, quilted nylon outer with HyperKewl polymer embedded fabric inner, water-repellant nylon liner. 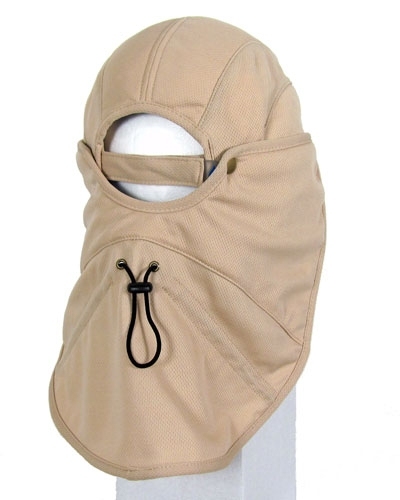 Comes in khaki color; one size with adjustable back strap. This product was added to our catalog on 16/03/2012.